This is the perfect trip for those wanting maximum activity whilst appreciating the spectacular wildlife of the Valdes Peninsula. Journey by kayak, foot and horse as you navigate the coast and plains over 5 days, staying in comfortable accommodation along the way. On arrival into Trelew (by land or air) you will be greeted at the airport and transferred to your hotel in Puerto Piramides. 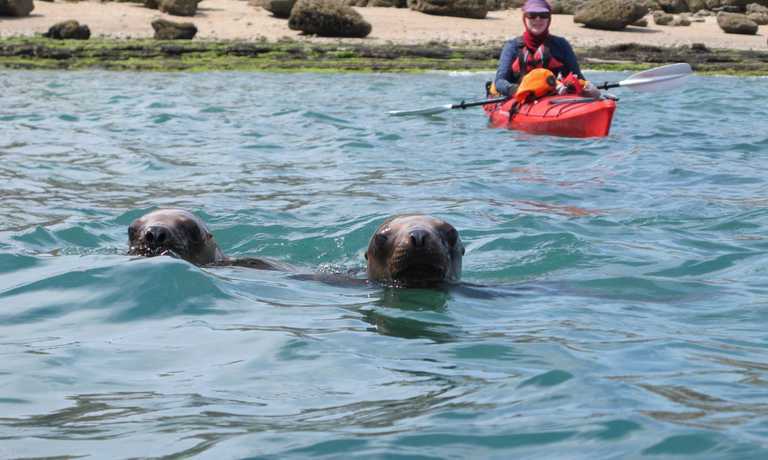 Launch straight into the adventure getting up close to Southern Right Whales and sea lions, with an afternoon kayaking excursion. A particularly special way to become familiar with the area and it's wildlife! The trip will be guided so you'll learn more about the region, and run in a group, giving you the chance to meet other travellers. Your driver will collect you from your hotel first thing, ready for your full day excursion to the north of the Valdes Peninsula. 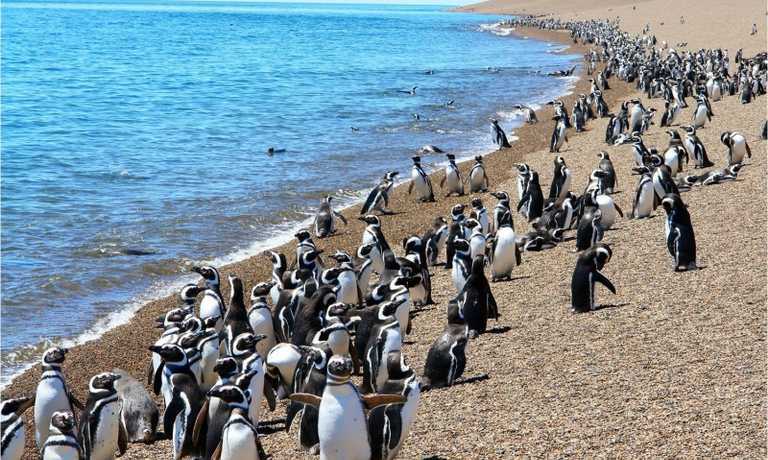 First, you'll visit San Lorenzo private ranch where you'll have the opportunity to walk among one of the largest and fastest growing Magellanic Penguin colonies in the world - an estimated 250,000 breeding pairs! Next up, look forward to further wildlife encounters at Punta Norte. In addition to more penguins, you'll see sea lions and their pups, sea elephants, and the potential sighting of orcas, who are regularly seen patrolling the coastline. In the afternoon, you'll drive south along the coast, including Caleta Valdes, likely passing orcas along this stretch. The driver will stop at various points, giving you time to capture some incredible wildlife photography. At the end of the day, you'll travel to the iconic Faro Punta Delgada. Now a working sheep farm, this 100 year old lighthouse originally functioned as the headquarters of Correo Argentino. Enjoy a home cooked meal in the surroundings of the wild, remote Peninsula, keeping your eyes peeled for whales often seen from the shore. Today you'll be able to take full advantage of the activities available from your hotel. Explore the marine life as you walk on the hotel's exclusive beach and along the coast, seeing the resident elephant seal colony. Set out on a mapped trek, hiking the cliffs of Punta Delgada to admire breathtaking views of the coast, or a guided trek, following a historic journey to discover the animals that lived in this area 20 million years ago. Or, marvel at the contrasting sea and steppe riding through the land on horseback. The hotel guides will help you coordinate your plans for the day. Begin the day with either a horse rise or a hike from Delgada - perhaps dependent on your choices the day prior. 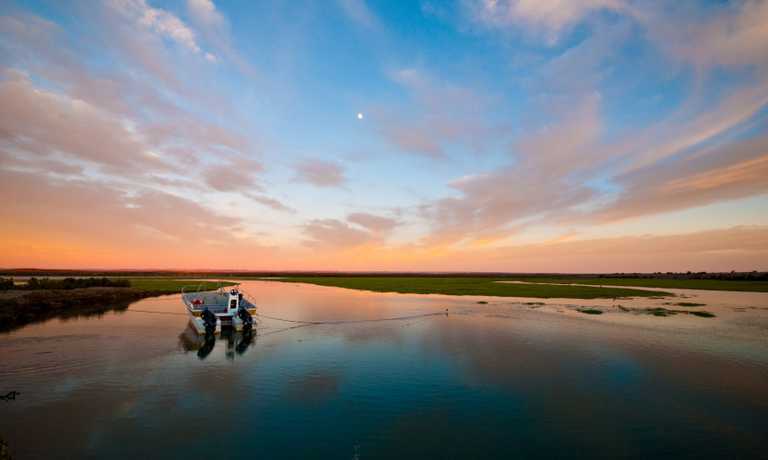 In the afternoon, transfer to the town of Puerto Madryn on the eastern coast of Argentina. The remainder of the day can be spent relaxing on the long golden beach or visiting local museums. Highlights include the maritime museum with its interactive exhibitions that teach visitors about wildlife on the Golf Nuevo, the Museo Provincial de Ciencias Naturales y Oceanografico which gives visitors an up-close view of the biology of sea and land animals, and the Ecocentro Museum specialising in the natural history of the region. Venture slightly further afield to Punta Loma to see the sea lion colony or to Doradillo beach to spot Commerson's Dolphins. The option of a 4x4 trip is also possible (not included in trip price). Transfer to Trelew airport where you will depart for Buenos Aires at 0750. This trip can run as a group trip, with prices starting from $2,035 per person for a complete group. If you are looking to join a group or you are a solo traveller we will help to form likeminded groups of travellers. Please let us know your travel plans.